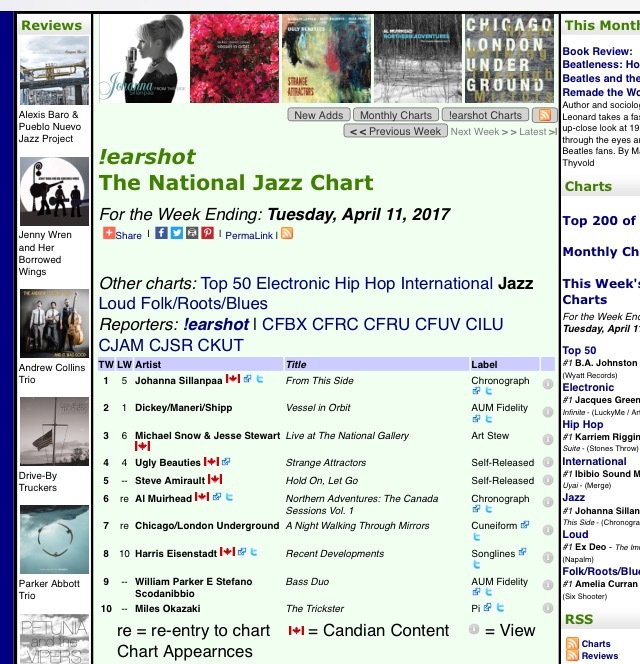 Thrilled to announce that From This Side reached #1 on the Canadian National Jazz Chart as of today! This is such amazing news and I am very grateful for my stellar team that has made this possible. So a BIG thank you to my Musicians, Chronograph Records, FACTOR Canada, Alberta Foundation for the Arts, Six Media, Eric Alper, Selective Radio & Fontana North. Next PostNext Post CD available here!